and Customization Solution for Security services. Don’t put your investments under unnecessary risk. Deter theft, burglary, vandalism and ensure your employees always feel safe. We equip you with state of the art security systems that offers you flexibility and adaptability no matter your requirements. 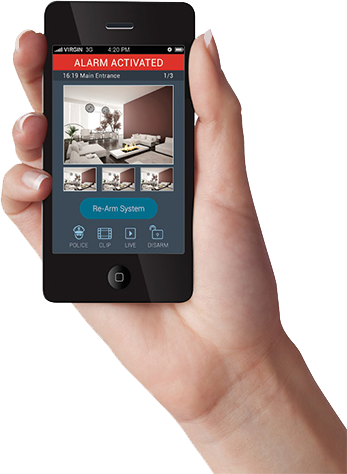 With the right system, monitor what’s important of you any where, and any time o the day for your peace of mind. Our HD CCTV and IP CCTV systems are design for commercial and residential surveillance. CCTV cameras ranging from 720P to 5 Megapixels are available. Wide variety of access control ranging from, fingerprint access control , biometric access control , card access control, facial recognition access control for our valued customer to choose from. A range of wireless smart video intercom systems, telephone entry systems and sophisticated telecommunication equipment for various residential and commercial applications. Intrusion Detection systems ( IDS ) or Intrusion Alarms remain the cornerstone of security needs, because it is still the most cost-efficient way to effectively deter and detect any unauthorized entry or an intrusion. A green technology to power up CCTV system outdoor with no electricity generator set up, there is no power required for the system to function. Presenting our wide range of products in HD CCTV , HD IP CCTV , Door Access System , Time Attendance , PABX Telephone System , Intrusion Alarm system . Browse through our selection of product categories and click on the one most relevant to your needs. HD CCTV security camera systems are able to product sharp and clear cut video footages. Able to be installed in many places around the premises, HD CCTV cameras in Singapore are one of the most effective security implantations. In addition to these features, the cameras provide dynamic high quality and sharp image reproduction (1280*720 resolution) for day, night time, as well as dimly lit areas. Added with the ability to be customized, they are able to cater to a number of customer specifications in fitting and style. To gain access to the security camera footage, one can use a mobile app and view the footage stream through just a few taps. This allows the operator to get access to live video feedback from the security cameras at anywhere and anytime along with regular updates in regards to areas covered. TDE Security provides a crew of highly skilled CCTV technicians to plan, install, and maintain the camera systems. Which is why, one can expect the best and most productive measures in security upon camera purchase and installation. Have a look at these HD CCTV security camera systems for more information about their specifications. Our range of systems includes HD CCTV , IP CCTV , Digital Video Recorder ( DVR ) , Network Video Recroder ( NVR ) . Quality is our utmost priority , therefore our CCTV products are from reputable brands like Panasonic, Bosch, Samsung, Avtech, Hikvision , Dahua , Visionplus . TDE provides card reader access systems , biometric door access control systems . Our card reader access control systems are compitable with RFID , Mifare , HID formats and even newer technology like the SSID format which Singapore government agencies are using as well. Biometric systems includes face recognition access control system , fingerprint access control system , time attendance system intergration . TDE products can support different requirements such as checking punctuality and overtime working hours of employees . DSC Alarm from USA is our main brand in intrusion alarm system. An example of our quality product would be providing intrusion alarm systems for numerous radioactive material storage sites fulfilling the checklist by Nation Environment Agency ( NEA ) in Singapore. Flexible expansion system with easy programming to satisfy demands even with the most sophisticated users. Analog CCTV , HD CCTV , IP CCTV from Hikvision , Visionplus , Panasonic , Samsung are the brands we distribute with advantages over others . CCTV accessoriesTDE Security deals with multiple items and equipment with the likes of video balun convertors , power supplies, Dlink network switches , Western Digital HDD .Door Access Control systems With our direct factory contacts , we are bringing the card access system and biometric access system with the most competitive prices with the best quality to our clients . As a customization solution provider , TDE Security Solutions offers Customized SolutionsIn this segment of our business, TDE uses out of the box yet simple ideas to cater to the special requirement of our clients . New technologies are also incorporated into our solutions thus creating the ideal solution for our customer.Range of products which we customized includes , HD CCTV system , IP CCTV system , Biometric Door access control system , Card Door Access Control System , Intrusion Alarm system. TDE Security Solutions is always seeking improvement and innovation to provide our customers with the good quality products.Feel free to contact us at + 65 6293 3343 or email us at sales@hdsecuritysys.com for a further discussion with our friendly sales team.